It’s springtime in Santa Barbara, the season of renewal. After this winter’s double-devastation of the Thomas fire and the subsequent mudslides, there’s no better time to visit Santa Barbara and support the recovery. Santa Barbara remains the crown jewel amid the glitter of Southern California’s sun-drenched coastline. Nestled between the ocean and the Santa Ynez Mountains, the city is a stunningly beautiful enclave that combines Spanish Colonial architecture with palm-lined beaches, a Mediterranean climate, and a laid-back California vibe. World-class shops, restaurants and wines round-out the destination’s idyllic offerings. 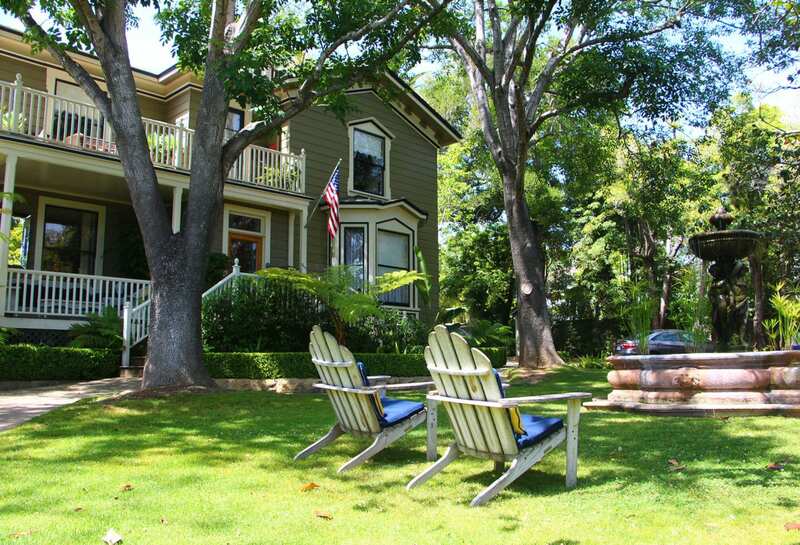 Below are four fabulous picks for unique and locally-owned inns to visit in Santa Barbara. Three of the four are offering great discounts through March 31, 2018 with the region’s “Revive and Thrive” promotion. 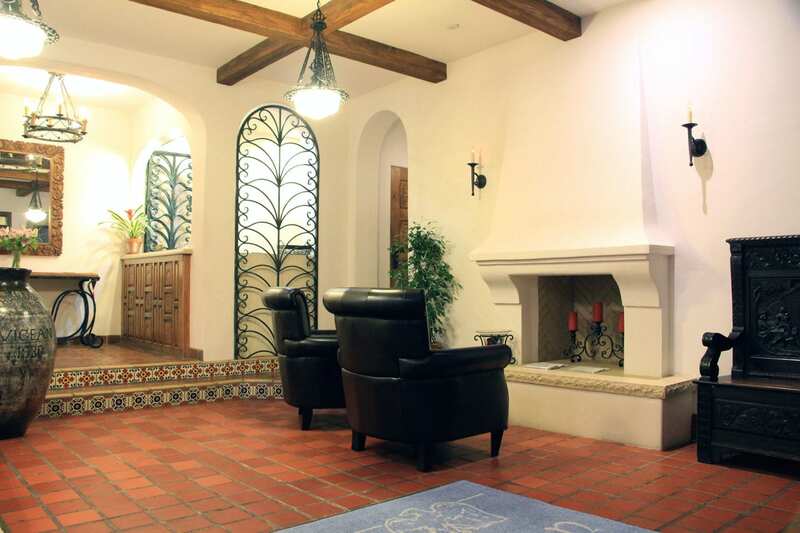 With its red-tile roof, white-washed adobe walls, hand-carved wooden doors, and hand-painted tiles, The Eagle Inn is classic example of Santa Barbara’s Spanish-Colonial architecture and an enchanting retreat near the beach. 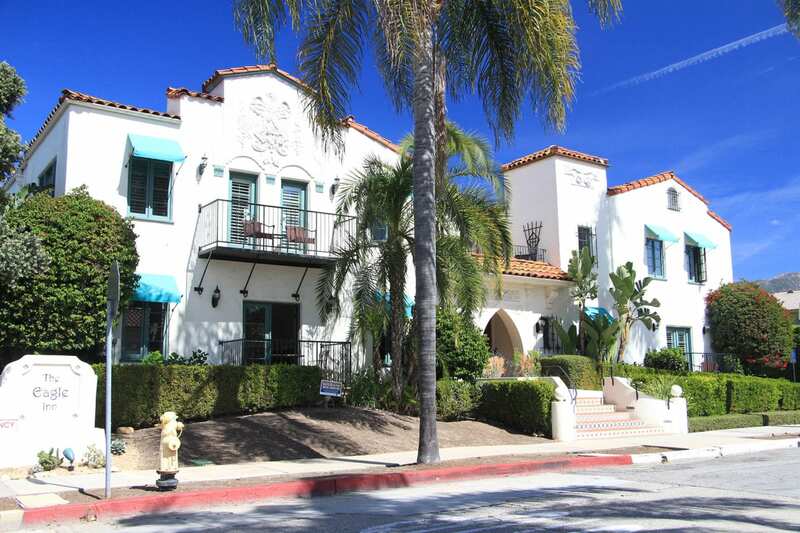 Located in the popular West Beach neighborhood, the family-owned inn is just couple blocks from the marina and the palm-lined path along the beach. It’s also within walking distance of Stearn’s Wharf, State Street, and the Funk Zone, which is a converted warehouse district that now houses galleries, boutiques, tasting rooms, breweries, and some of the city’s hippest restaurants. The inn offers well-appointed guest rooms with luxurious tiled baths and every imaginable amenity. The rooms are decorated with warm red and orange accent colors and have been newly furnished with hard-carved wooden beds, dressers, and nightstands that were made by artisans in Mexico. Some of the rooms feature gas fireplaces, whirlpool tubs, and private balconies or verandas. The inn’s romantic, freestanding casitas (little houses) offer all of the amenities of the guest rooms plus private entrances and a greater sense of seclusion. 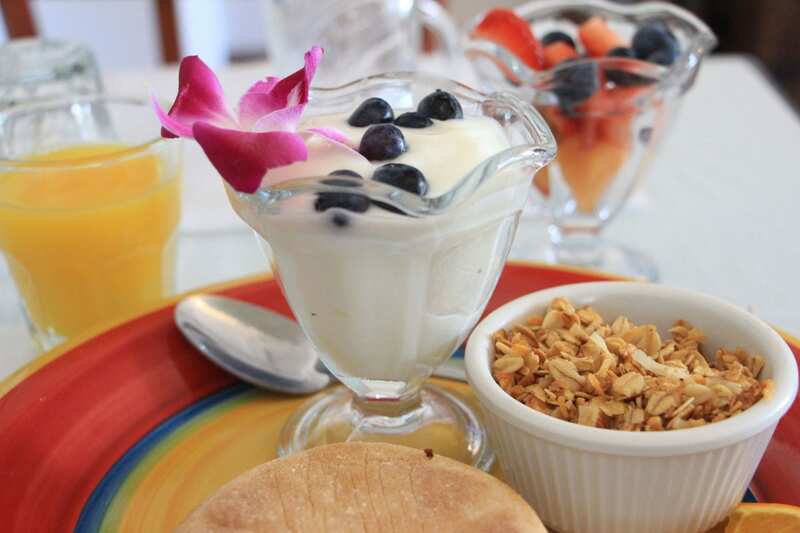 A complimentary breakfast is served each morning in the breakfast room and offers a handful of cooked-to-order options–plus yogurt with homemade granola and strawberries–and is served with fresh fruit, coffee, tea, and juice. Freshly-baked cookies are served each afternoon. The inn also offers complimentary bike rentals and free parking. In conjunction with Visit Santa Barbara’s Revive and Thrive promotion, the inn is offering a 20% discount on its casita rooms through March 31, 2018. A two-night stay is required on weekends. To redeem the offer, use the promo code “Revive” when booking online or call 805-965-3586. 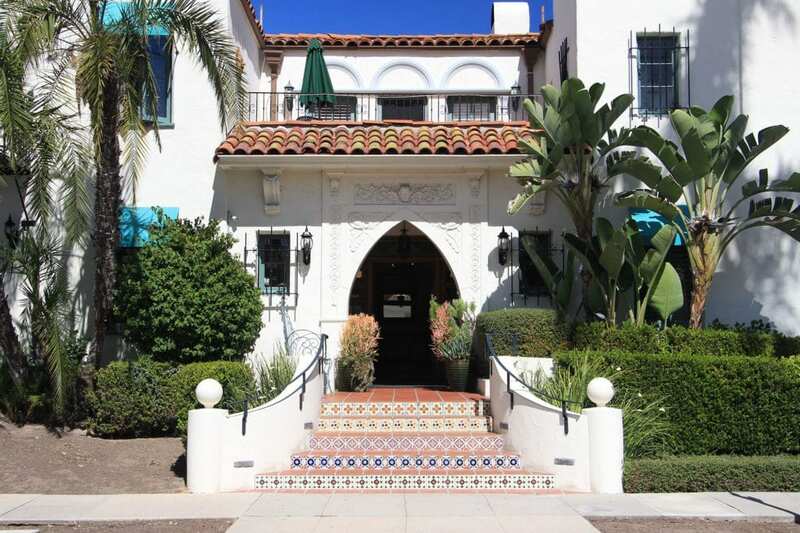 Secluded behind tall hedges in a quiet historic neighborhood near State Street, the Simpson House Inn is the grand dame of Santa Barbara’s bed and breakfast inns. The elegant Victorian Estate was built in 1874, when the only the method of travel to Santa Barbara was stagecoach or ship. It was slated for demolition when Glyn and Linda Davies purchased the home in 1976 and embarked on a meticulous restoration. 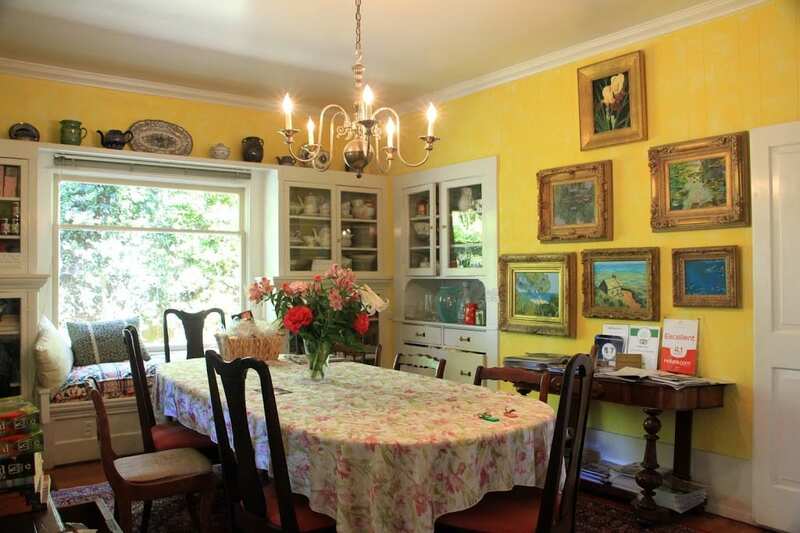 The owners opened the home as a B&B in 1985 and it was declared a historic landmark in 1992. 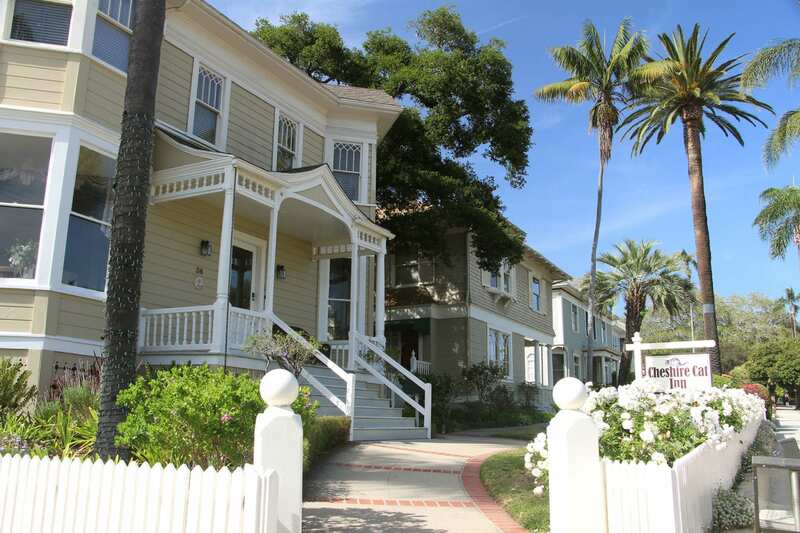 The lavish Victorian is nestled amid tranquil English gardens with trickling fountains and intimate seating areas. A wrap-around veranda affords views of the gardens and is the ideal spot for enjoying the amazing chef-prepared breakfasts. Breakfast can also be delivered to the room at no additional charge. The overriding décor of the inn has a timeless, elegant quality that exudes sophistication and comfort. 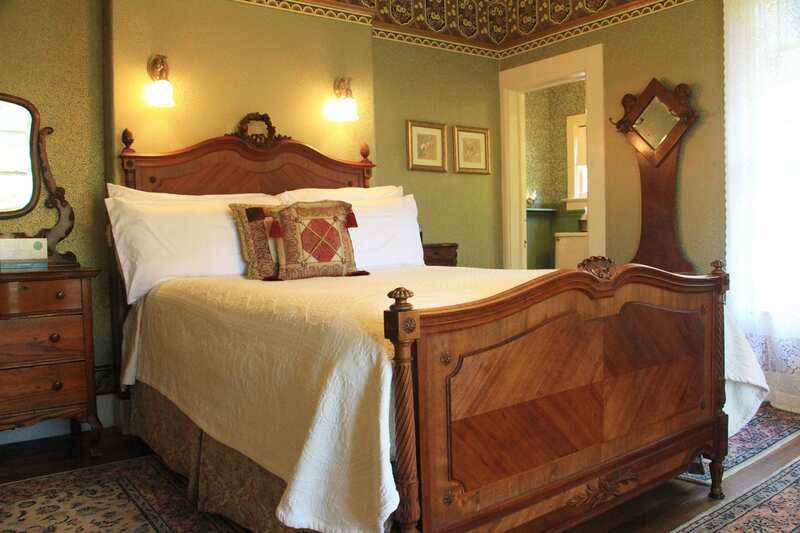 The main house guest rooms feature antique wood beds, oriental rugs, clawfoot tubs, and intricate Victorian wallpaper treatments. 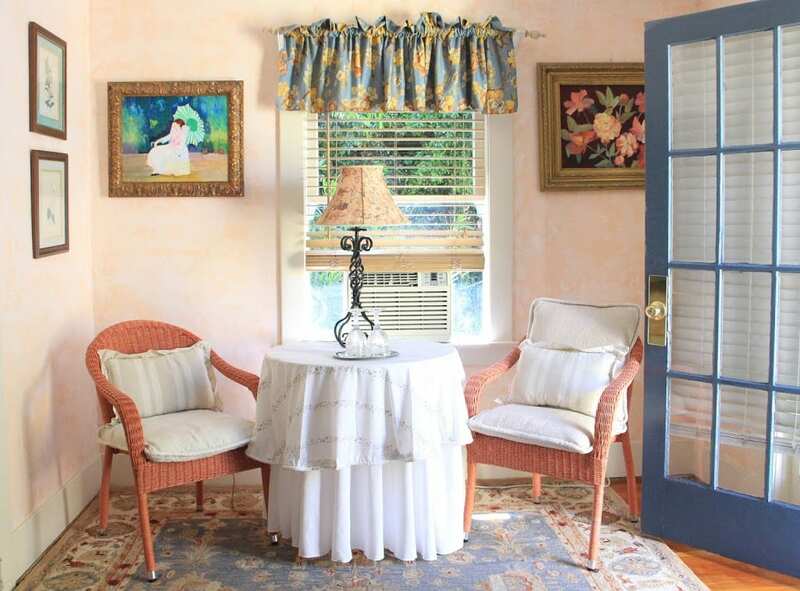 Along the back of the property, carriage house suites and garden cottages offer spacious accommodations with white-washed vaulted ceilings, fireplaces, whirlpool tubs, and private decks or patios. Complimentary turn down service is provided for all of the rooms. Local wines and hors d’oeuvres are served each afternoon followed by desserts in the evening; refreshments are available all day. The inn is within walking distance of the shops, theaters, and cafés along State Street, the historic courthouse, and Old Mission Santa Barbara. It’s just a short trolley ride to the beach, Stearns Wharf and the Funk Zone. The inn also offers complimentary bicycles for exploring the town. 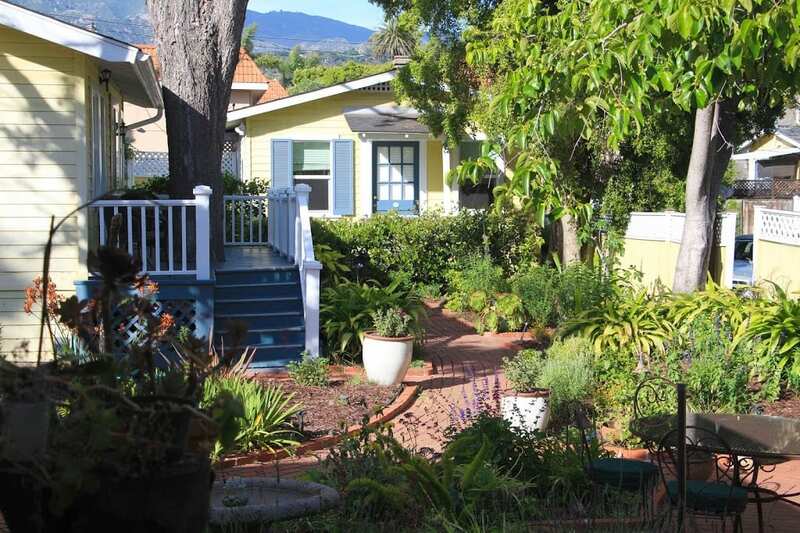 Just a block from State Street near downtown Santa Barbara, Cheshire Cat Inn is a charming bed and breakfast inn comprised of two Queen Anne Victorian homes, a coach house, four cozy cottages, and a tranquil English garden with graceful old oaks. 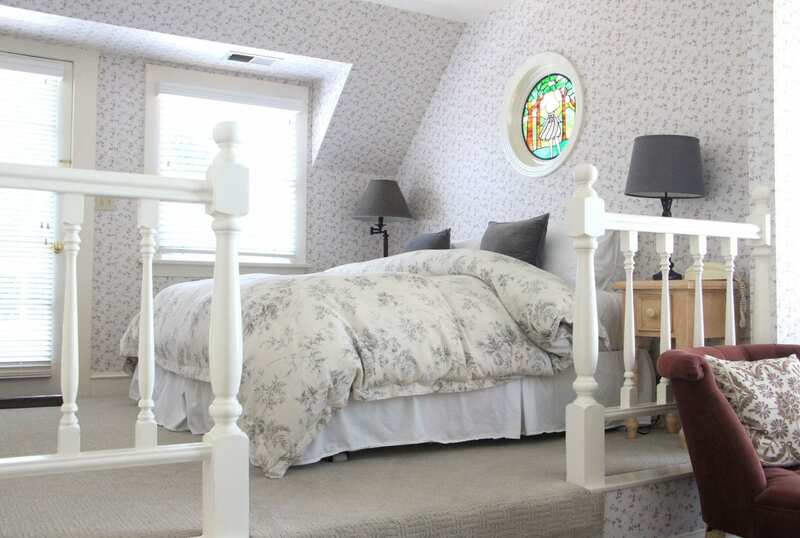 The theme of the inn was inspired by the owner’s original home in Cheshire, England and the famous novel of written by another Cheshire native, Lewis Carroll. The majority of the rooms are split between the two Victorians and are named for characters from Alice’s Adventures in Wonderland. 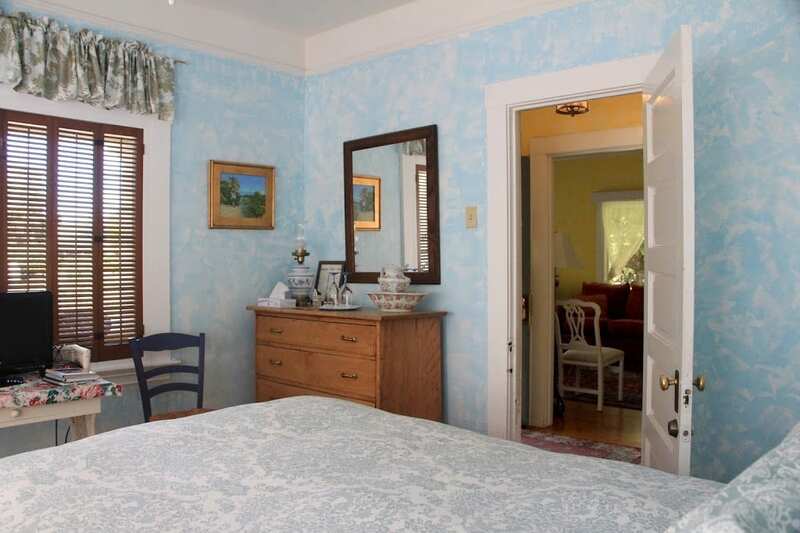 The cheery, sun-filled rooms are comfortably furnished with antiques and a tasteful blend of colors and patterns. 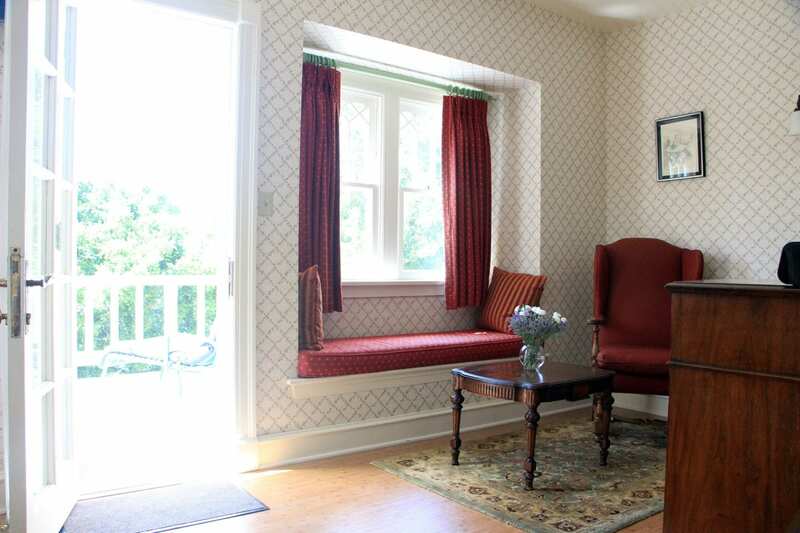 Some of the rooms feature bay windows with inviting, upholstered window seats. 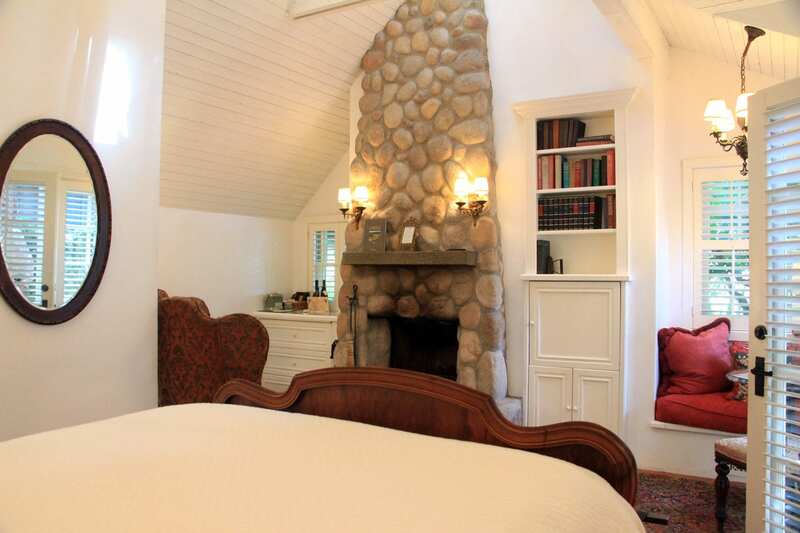 Some of the rooms also have private decks overlooking the garden, fireplaces, or Jacuzzi tubs. On weekends, a full breakfast is served in the dining room or outdoor patio. Popular selections include homemade Danish ebelskivers and quiches. During the week, the inn serves an expanded breakfast buffet. Each evening, the innkeepers serve local wine paired with curried deviled eggs, stuffed mushrooms, crudités and dip, and assorted cheeses and crackers. Homemade chocolate chip cookies and brownies are baked fresh daily and are available in the evenings as well. The inn also offers free parking and an electric vehicle charging station. For Santa Barbara’s Revive and Thrive promotion, the inn is offering three nights for the price of two through March 31, 2018. The special is valid for reservations Sunday through Thursday only. To redeem the offer, call the hotel directly at 805-569-1610 and mention the “Revive and Thrive” special. Tucked in a residential neighborhood within walking distance to State Street, Secret Garden Inn & Cottages is a simple 1905 farmhouse ringed with cottages and lovely gardens. Owner Dominque Hannaux, a French expatriate, serves up warm hospitality and delicious baked goods with the flair of an artist. 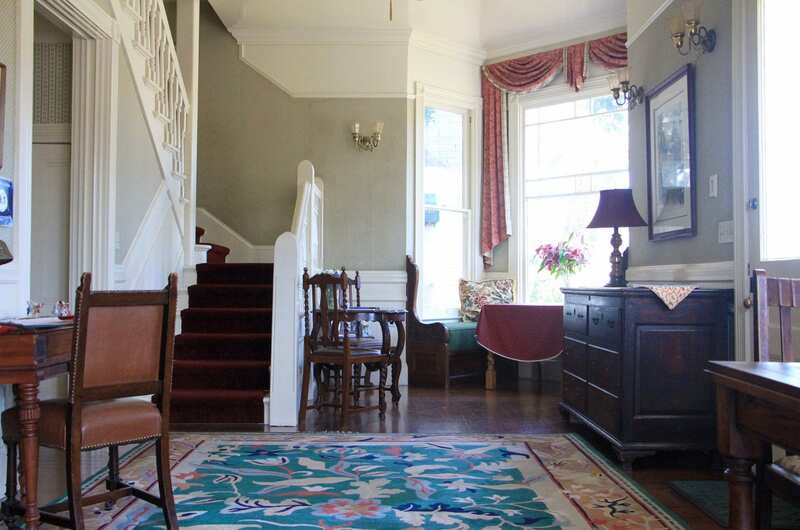 The inn has two guest rooms in the main house and six cottages, each with private entrances. Named for various birds, each of the rooms have a homey feel with cheerful colors, floral patterns, and an eclectic assortment of furnishings. 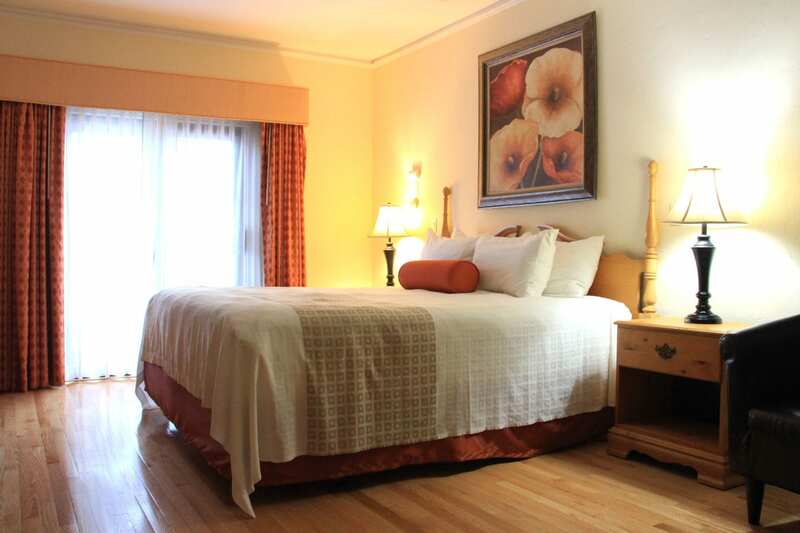 All of the rooms offer private baths, televisions with DVD players, and wireless internet. Many of the rooms have clawfoot tubs; five of the cottage rooms also have private decks with small Jacuzzi tubs. 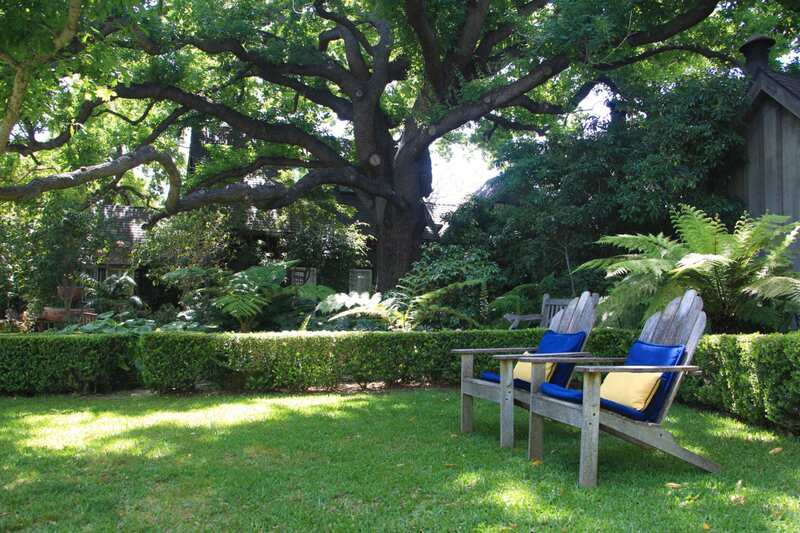 An inviting garden patio with café tables and chairs lies in the shade of the sprawling branches of giant persimmon tree. One of Dominique’s most popular recipes, her persimmon and orange nut bread, is made with fresh persimmons she picks from the tree when they begin to ripen in the fall. The inn serves evening wine and hors d’oeuvres on weekends. Sweets and hot water for tea are set out each evening. Each morning, Dominique prepares and serves a gourmet breakfast featuring quiches, crepes, fresh-baked scones, muffins, sweet breads, fresh fruit, coffee, tea, and juices. In conjunction with Visit Santa Barbara’s Revive and Thrive promotion, the inn is offering three nights for the price of two through March 31, 2018. The special is valid for reservations Sunday through Thursday only. To redeem the offer, use the promo code “Revive and Thrive” when booking online or call 805-687-2300.